Get started on the right track by downloading your FREE SEO Starter Kit! If you’re a freelancer (or hoping to be one); or if you wish to upgrade your skill set to include SEO (which is one of the most lucrative online businesses, by the way), then this is YOUR ebook! Helps you understand the real deal with SEO so you have a solid guide in devising strategies to rank in Google’s first page. 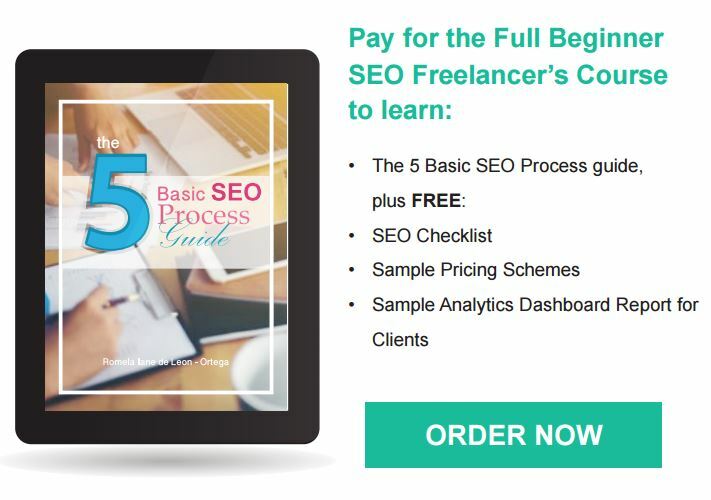 Gives you an overview of the 5 Basic SEO Process to help you determine if this line of work is suited for your skillset as a freelancer. Offers tips on how clients and SEO agencies want things done to ensure you get customer satisfaction all the time! 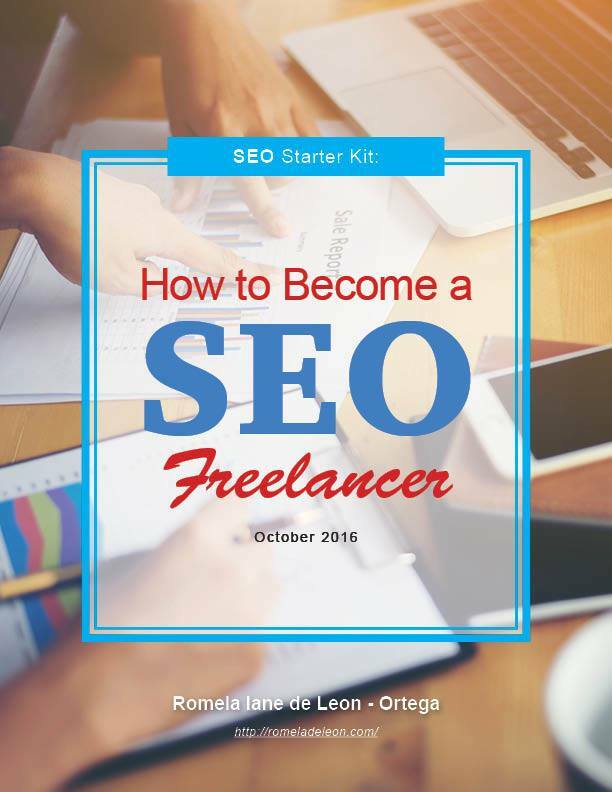 Includes FREEBIES like templates and tools to equip you in advance for your successful SEO freelancing career. What problem does this ebook solve? You no longer have to go through all sorts of tutorials, blogs, videos, and online research just to grasp the concept and process of search engine optimization. It’s all in this free SEO Freelancer Starter Kit +PLUS a chance to access the Full Beginner SEO Freelancer’s Course here. So go ahead, DOWNLOAD THE FREE EBOOK HERE.